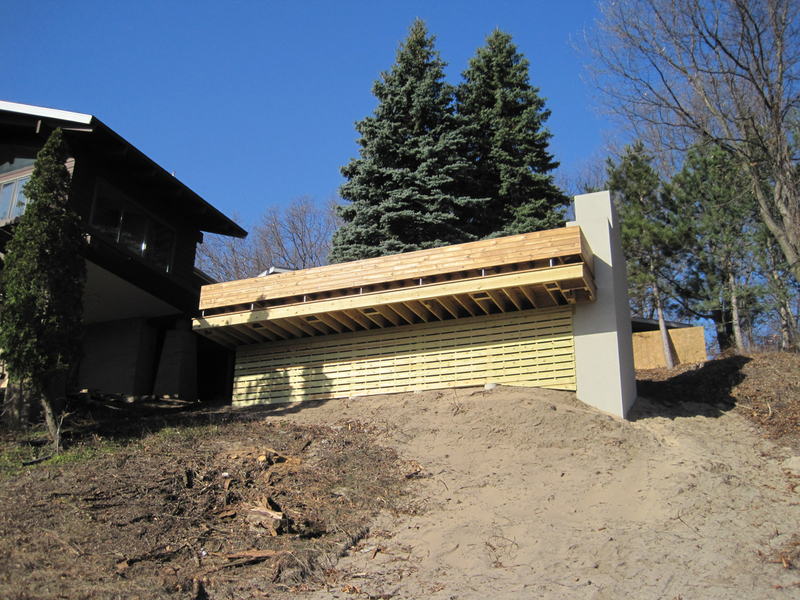 With a view of Lake Michigan, the deck extends entertaining space and provides a pathway to an otherwise inaccessible side of the house. 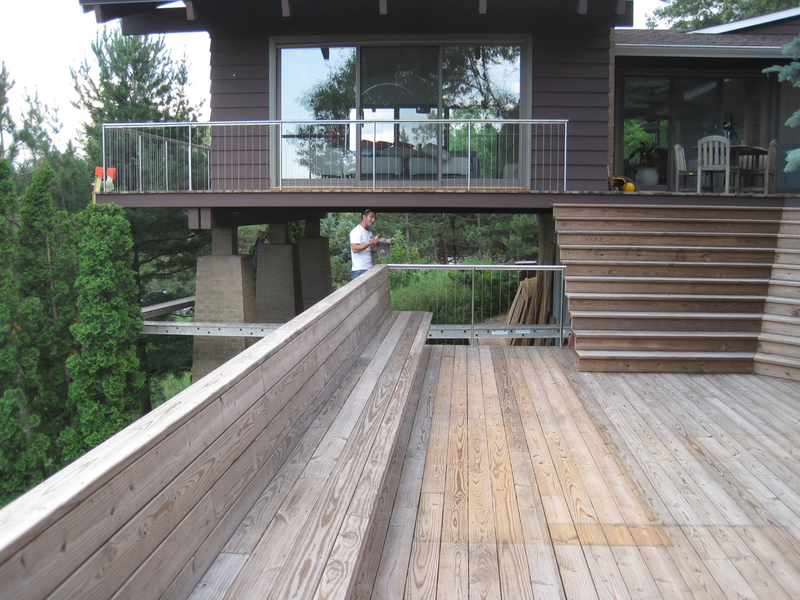 The deck steps down from the from the main floor level so not to obstruct the views from the existing house, creating a cascade of sitting steps with views to the lake and sand dunes. 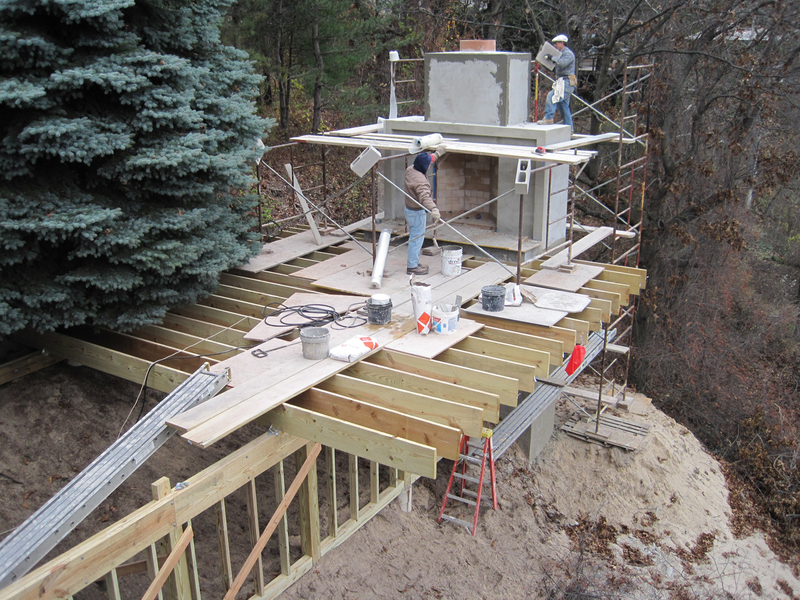 The deck is anchored at the far end with a massive masonry fireplace which provides the structure necessary to cantilever the deck over the receding dunes below. 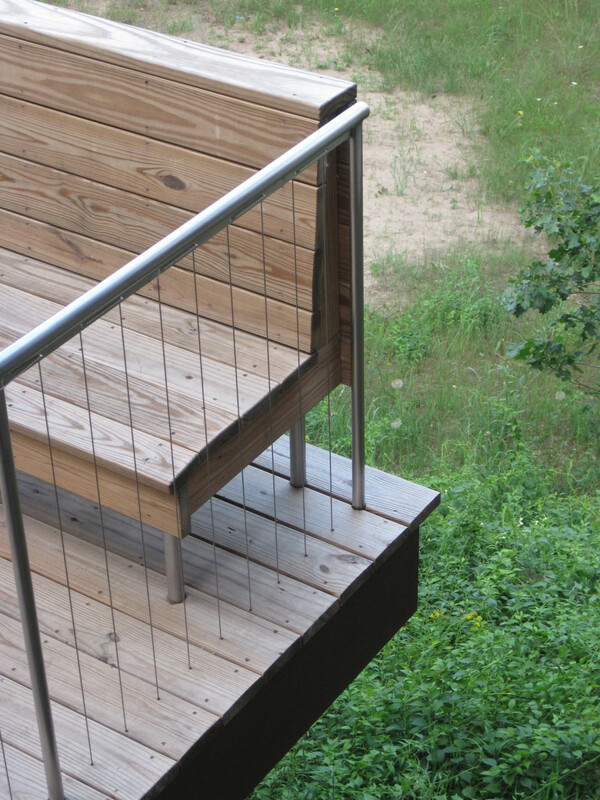 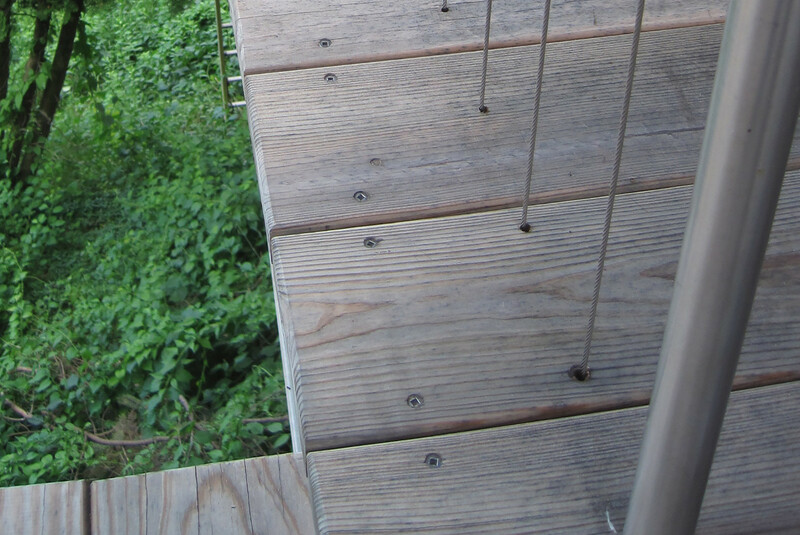 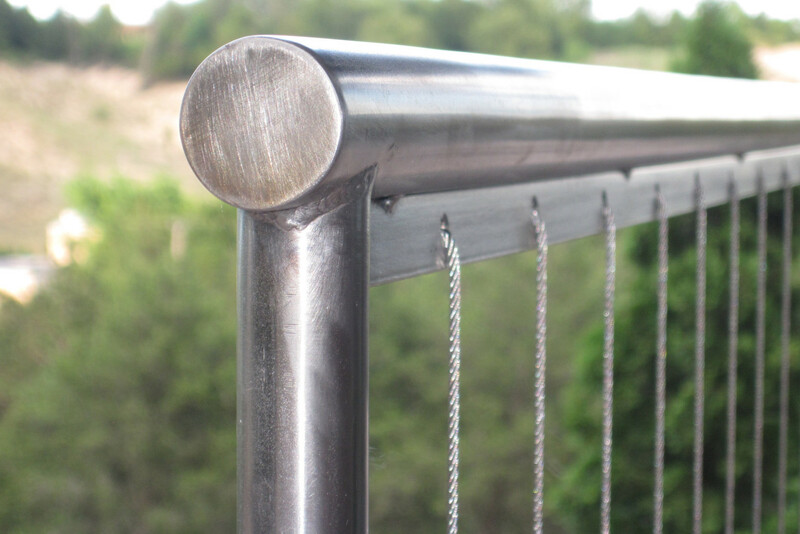 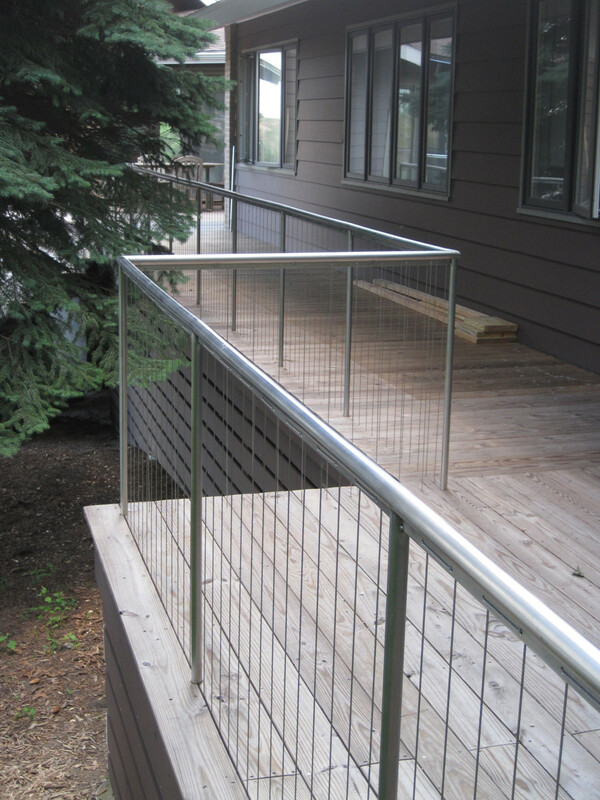 Concealed lights are aimed low, illuminating the deck surface so not to impede star gazing.